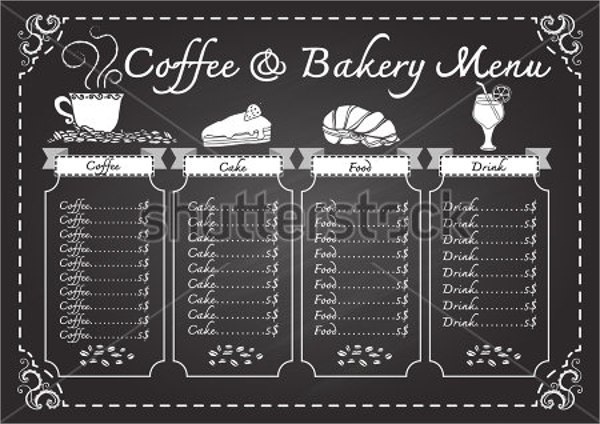 A bakery shop owner cannot do well without an excellent bakery menu. 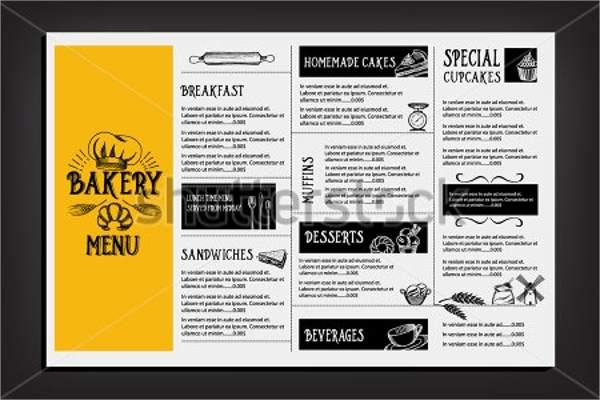 This menu represents the list of all the bakery products such as cakes, pastries, patties which are found in the bakery shop. 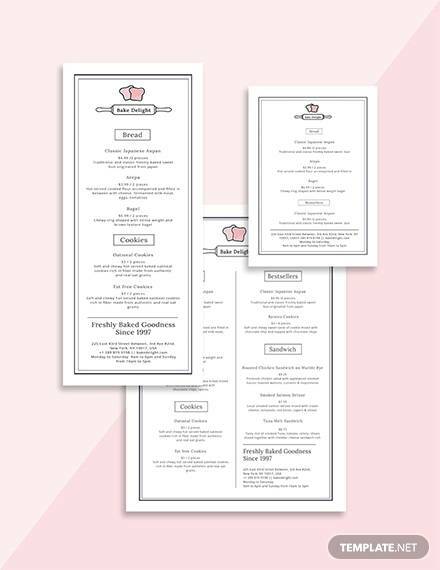 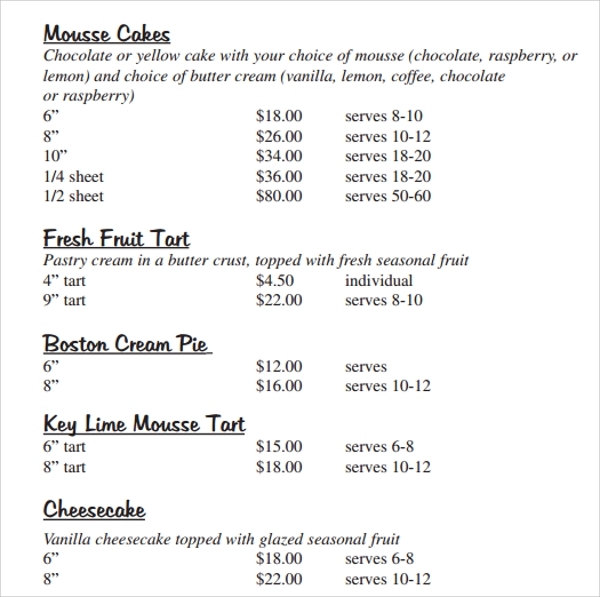 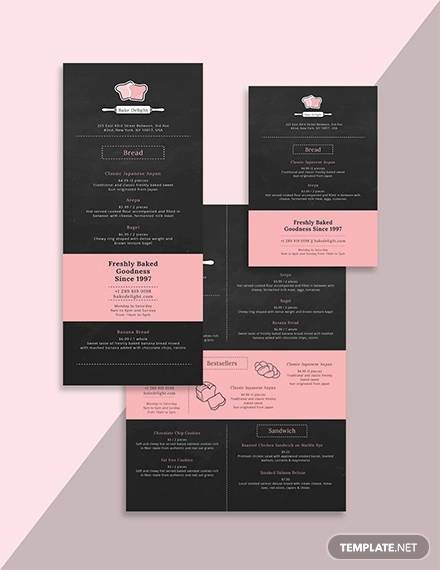 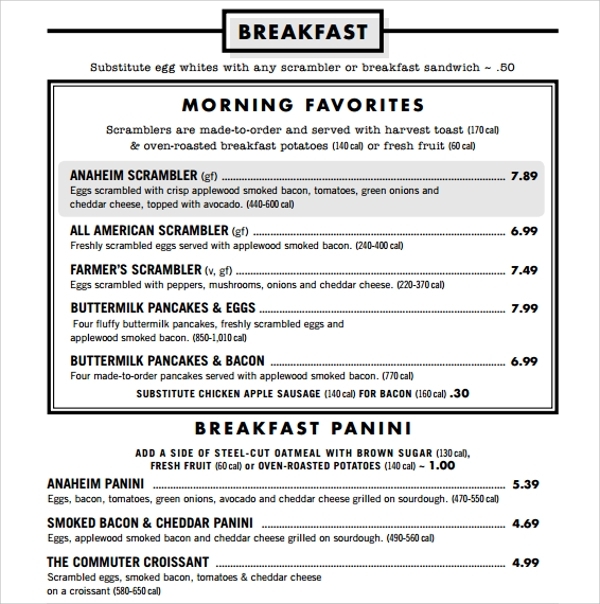 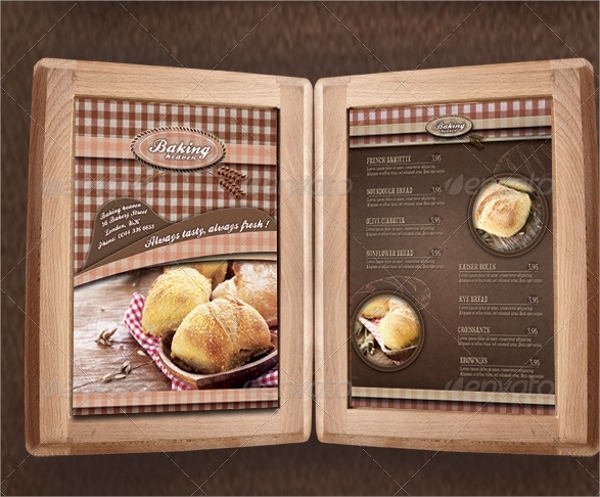 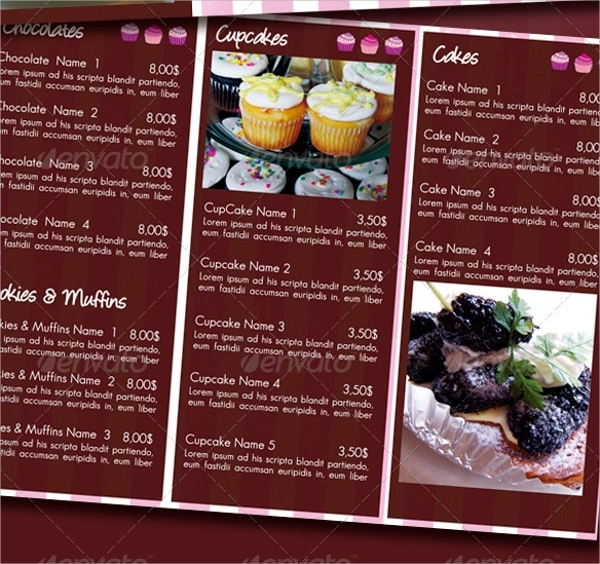 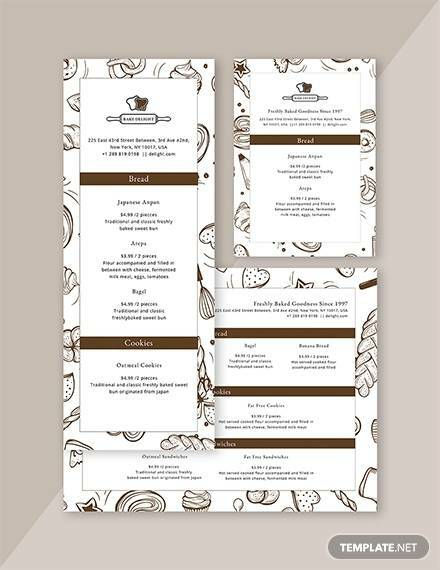 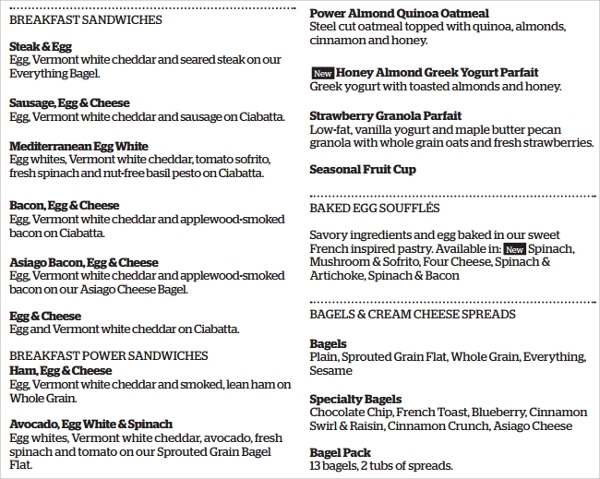 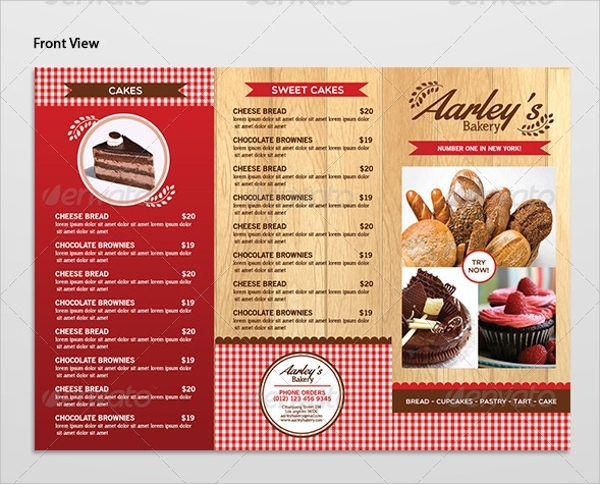 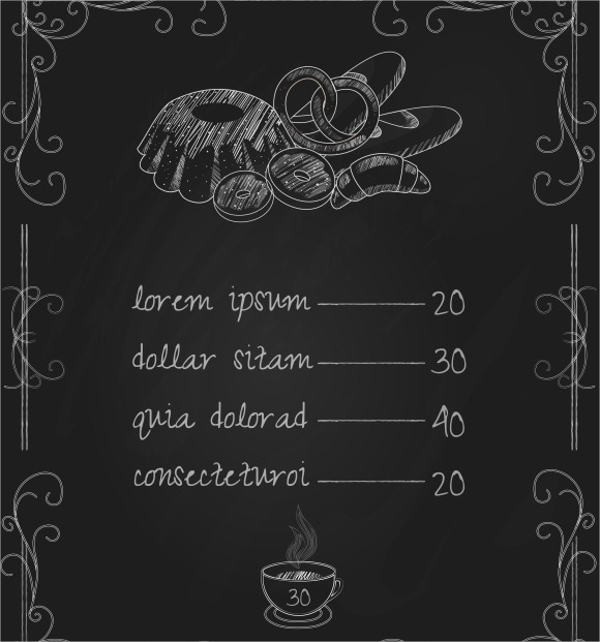 The perfect sample bakery Breakfast Menu Template usually arranges the bakery items in an attractive manner. 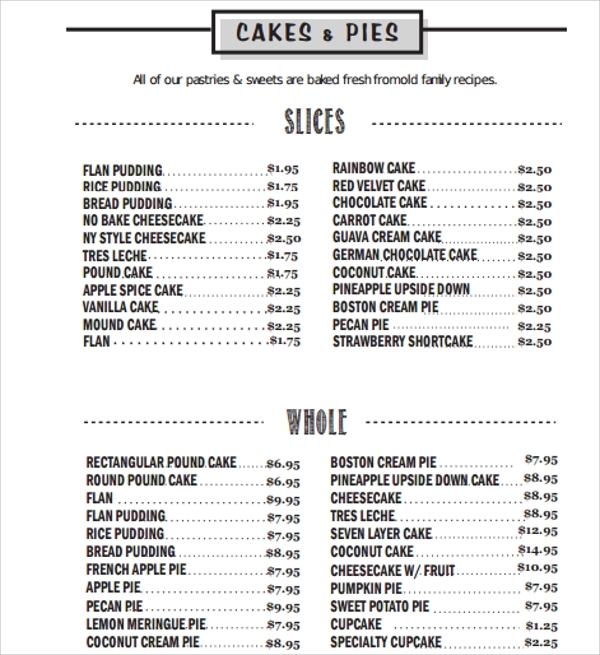 But the thing is that where you can find the best one? 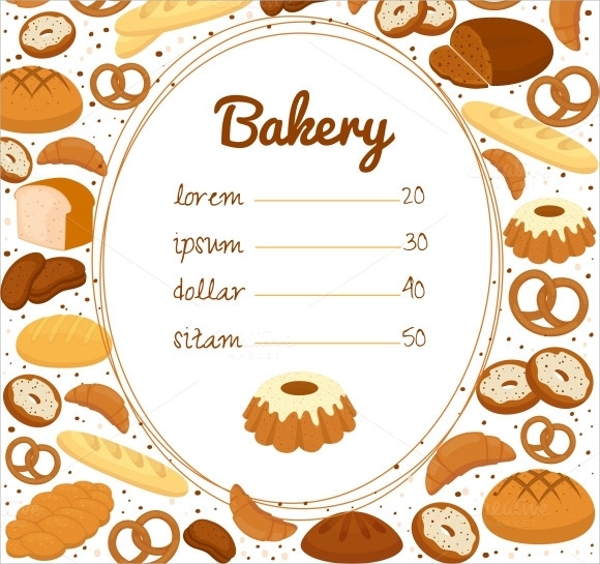 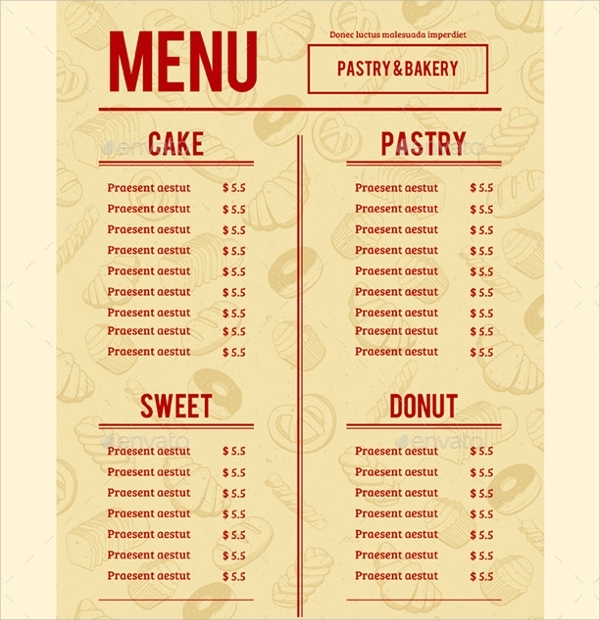 Providing you many examples of sample bakery menu templates, our site offers them for free in many formats like PDF and word and, there are so many samples from which you can choose your favorite one and they all are ready to use. 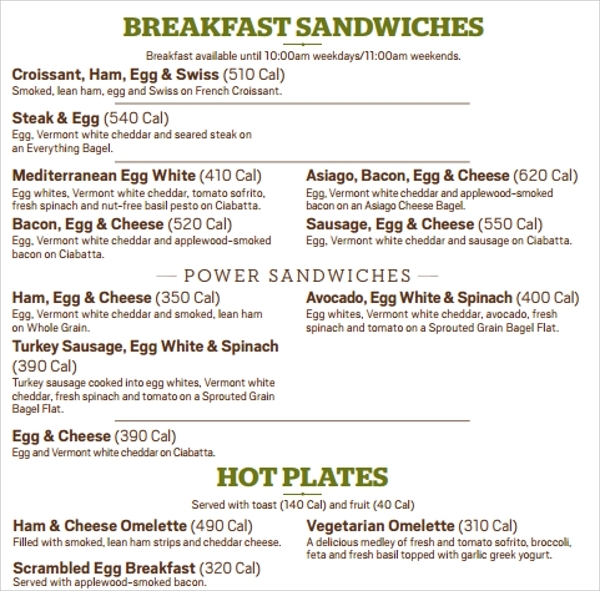 That means you don’t have to just make a similar format like that just type in that and print.